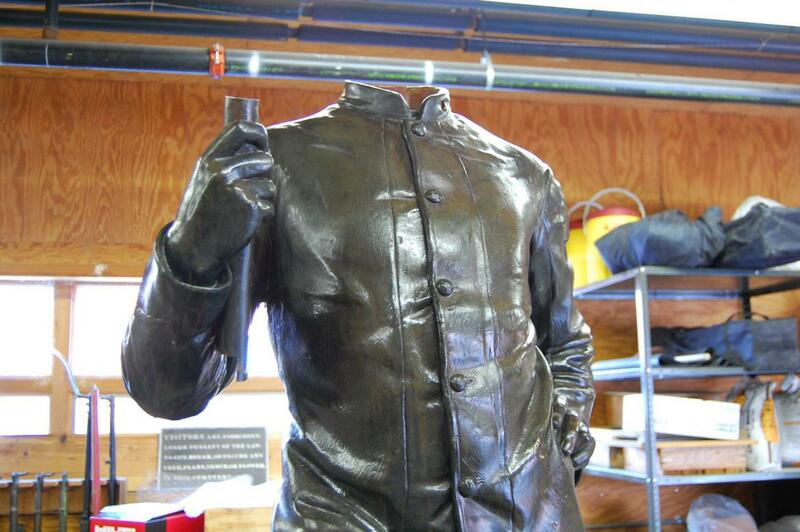 The newly casted bronze head to the 4th New York Independent Battery monument, on display at the Gettysburg National Military Park Monument Shop. This view was taken facing north at approximately 4:25 PM on Wednesday, October 26, 2011. 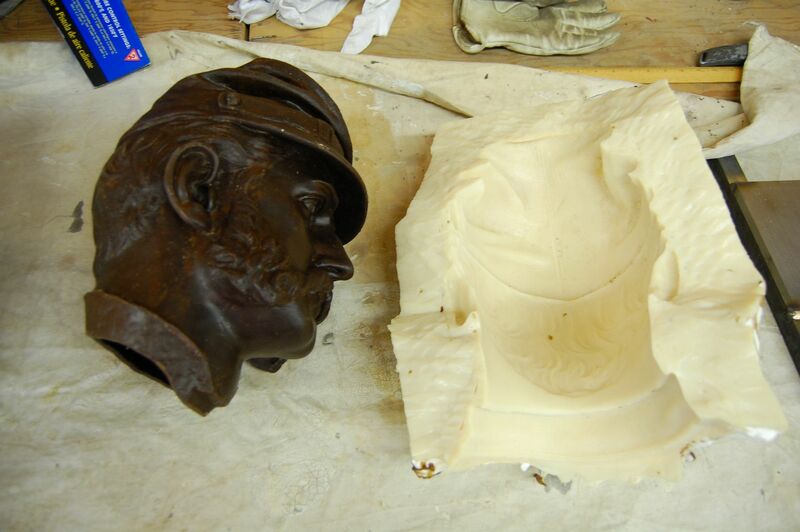 Wednesday afternoon, Gettysburg National Military Park Monument Preservation Supervisor Lucas Flickinger, and Management Assistant Katie Lawhon, showed the Gettysburg Daily some of the molds and bronze pieces that were created to reconstruct the monument to Captain James Smith’s 4th New York Independent Battery. 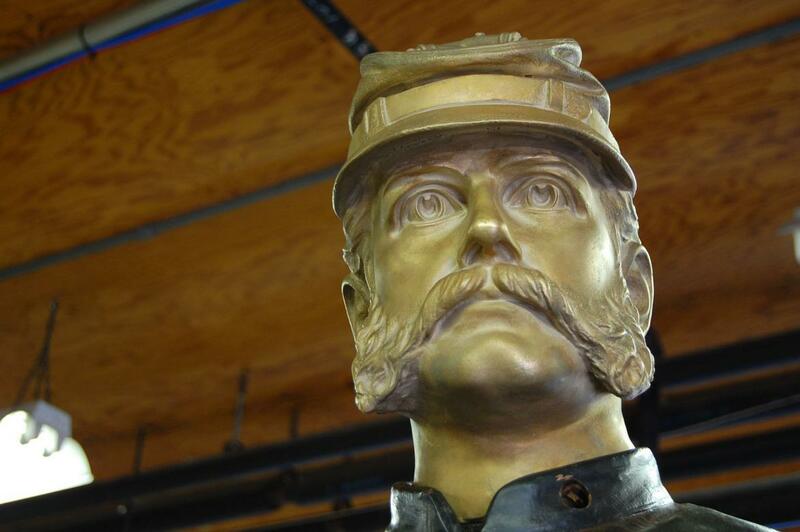 They also provided an update on the damaged piece to the monument to the 11th Massachusetts Infantry Regiment. 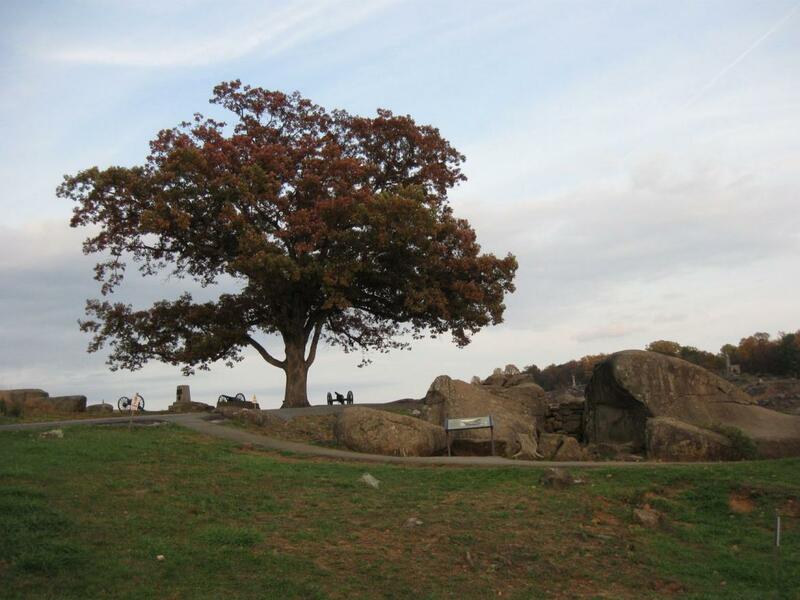 The 4th New York, located at Devil’s Den, the 11th Massachusetts, located at the junction of the Sickles Avenue and the Emmitsburg Road, and the 114th Pennsylvania were damaged by vandals on the evening of February 16, 2006. When they attacked the 4th New York Monument, the vandals pulled the bronze statue from its granite base, and dragged it 162 feet. 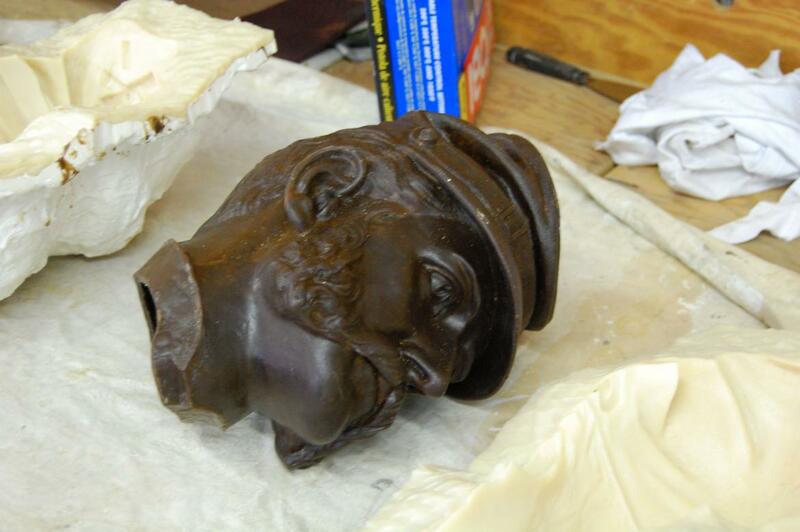 They also pulled off the head and the rammer from the statue. 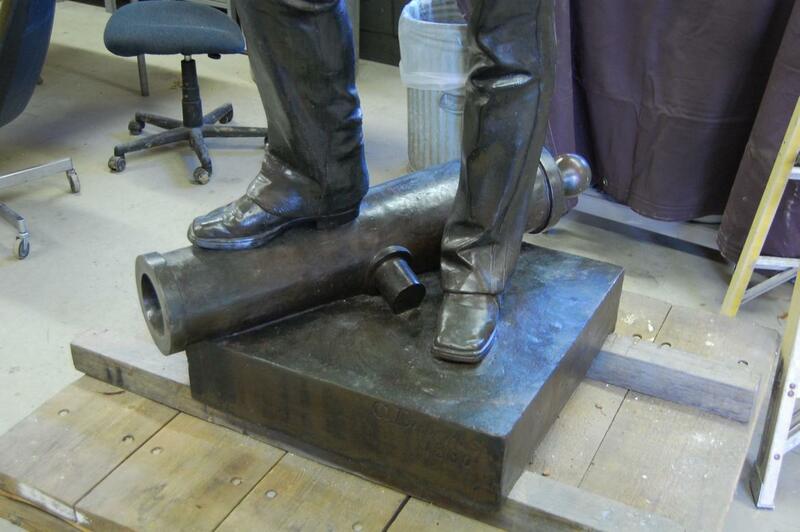 The National Park Service has created casts from an identical artilleryman, created by the sculptor Casper Buberl, that is located in Manchester, New Hampshire. 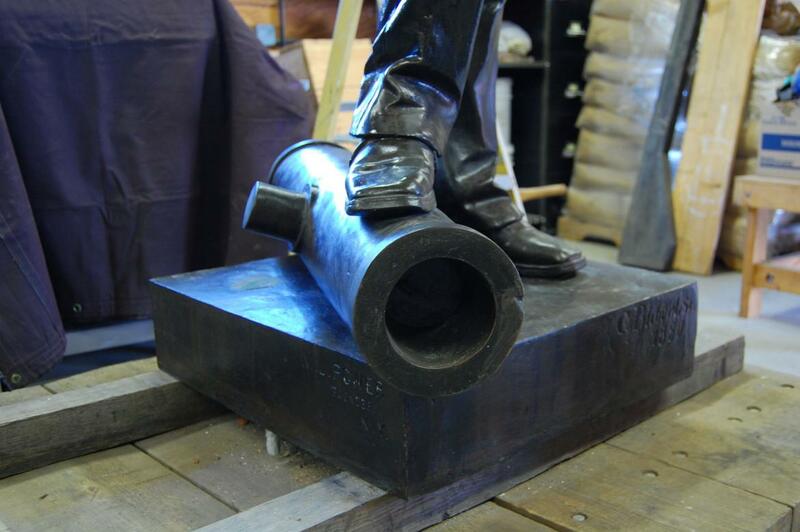 The arm to the top of the 11th Massachusetts is still awaiting the creation of a plaster cast. 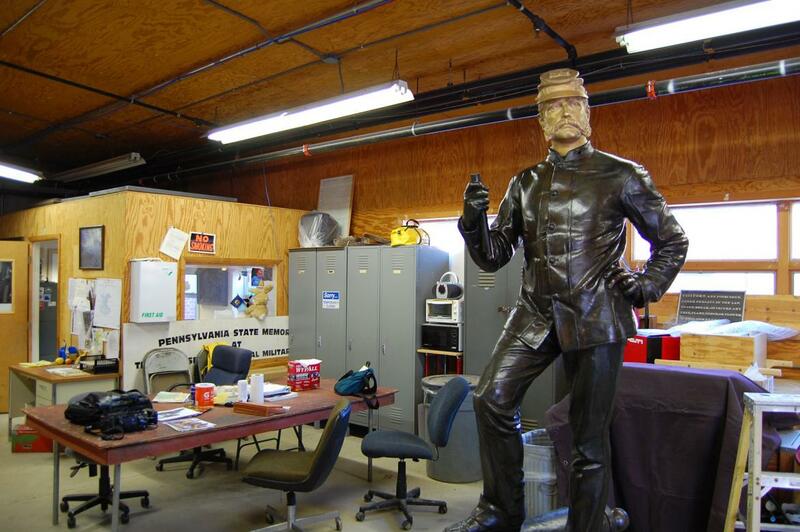 The 114th Pennsylvania has been put back at its location along the Emmitsburg Road at the Sherfy Farm. 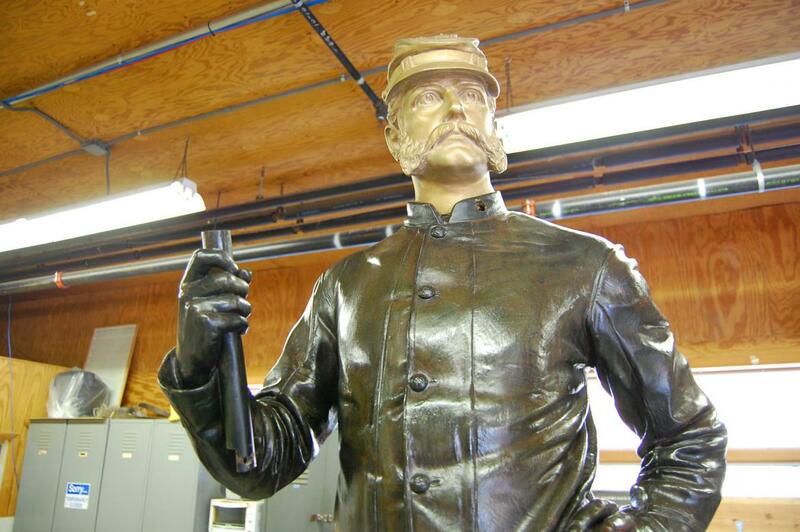 In part one of this behind-the-scenes look, GNMP Monument Preservation Supervisor Lucas Flickinger explains to us the involved process in restoring the Smith Battery monument. 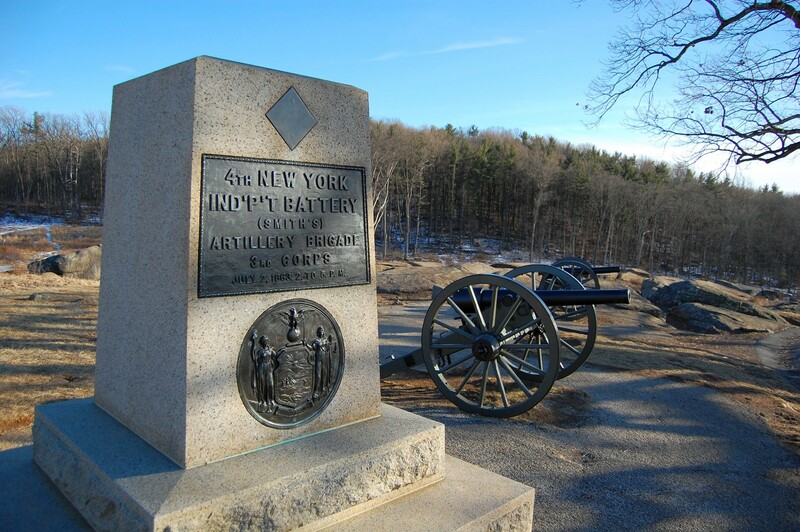 Smith’s New York Battery Monument and 11th Massachusetts: Five Years Later on February 16, 2011. 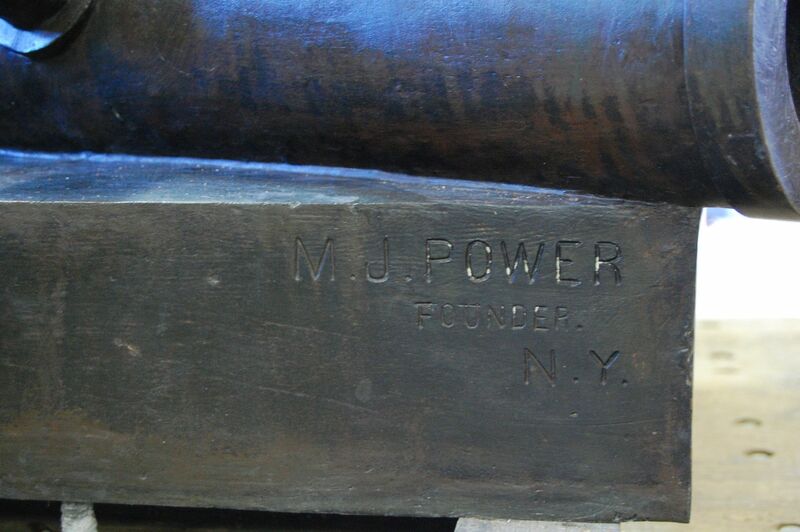 Ball Placed Back on Top of Monument to Knap’s Pennsylvania Battery on July 9, 2009. This map shows the location of the National Park Service Maintenance Area (Star labeled “M”) where the pieces of the monuments awaiting restoration are stored, and where the videos were shot. 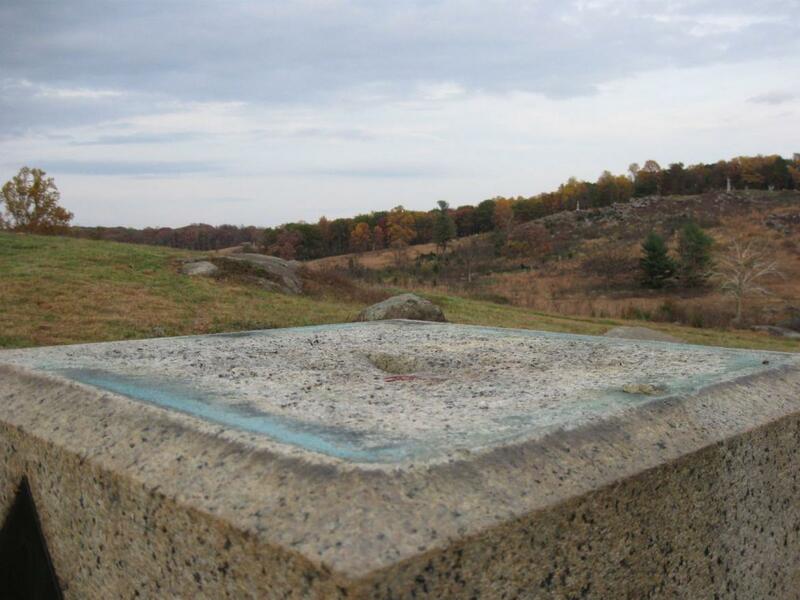 The star labeled “4NY” shows the location of the monument to Captain James Smith’s 4th New York Independent Battery at Devil’s Den. The star labeled “114” shows the location of the monument to the 114th Pennsylvania monument at the Sherfy Farm. 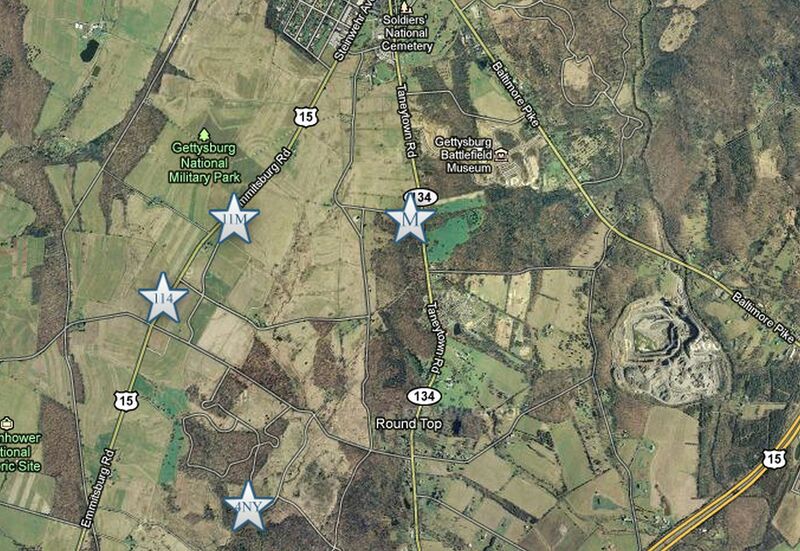 The star labeled “11M” shows the location of the monument to the 11th Massachusetts Infantry Regiment at the junction of the Emmitsburg Road and Sickles Avenue. The bronze artilleryman was dragged approximately 165 feet from the battery location here at Devil’s Den … This view was taken facing east at approximately 4:10 PM on Tuesday, February 16, 2011. … to the “sharpshooter’s position,” visible in the right-hand portion of this view. This view was taken facing east at approximately 4:25 PM on Wednesday, October 26, 2011. 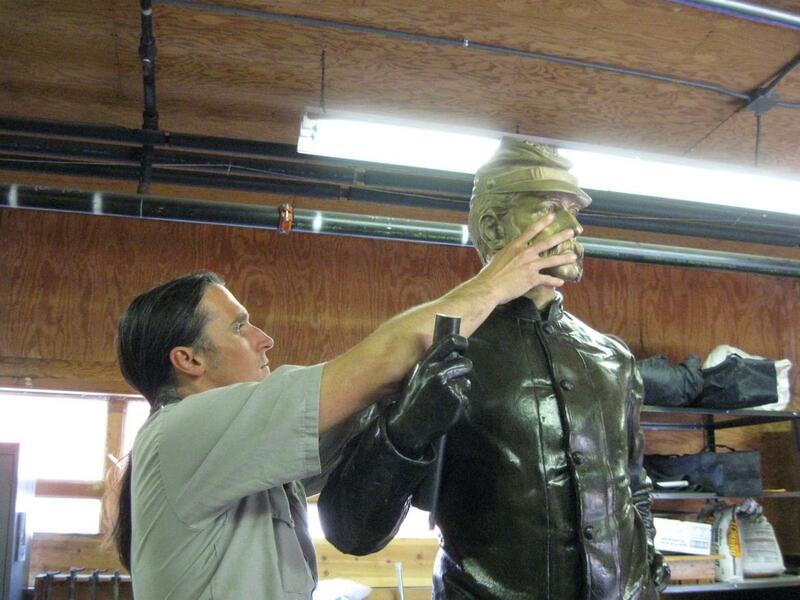 The National Park Service Maintenance team traveled to Manchester, New Hampshire, this summer to make molds of the identical figure. 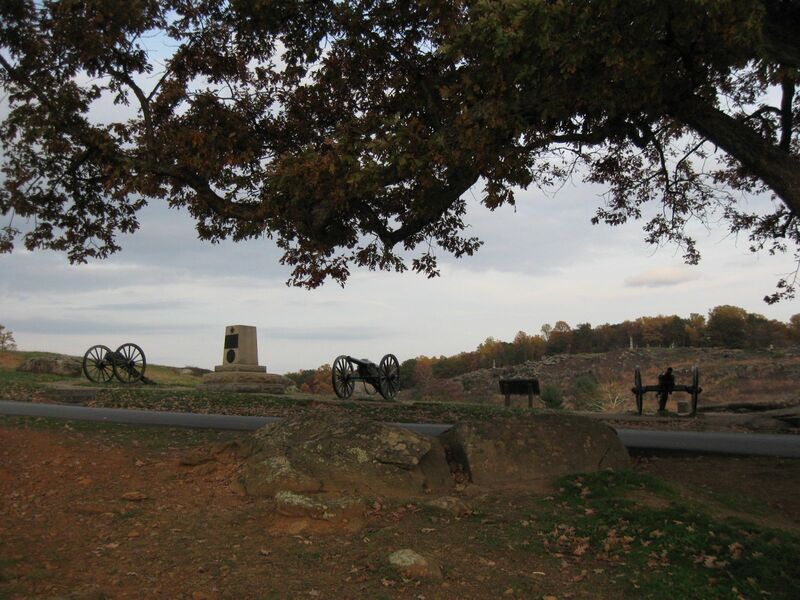 This view was taken at approximately 4:15 PM on Monday, August 8, 2011, and is courtesy of the National Park Service. Lucas Flickinger, Supervisor of the Monument Preservation Branch of the NPS Maintenance Department, introduces us to the involved process of molding and casting the new pieces for this vandalized monument. 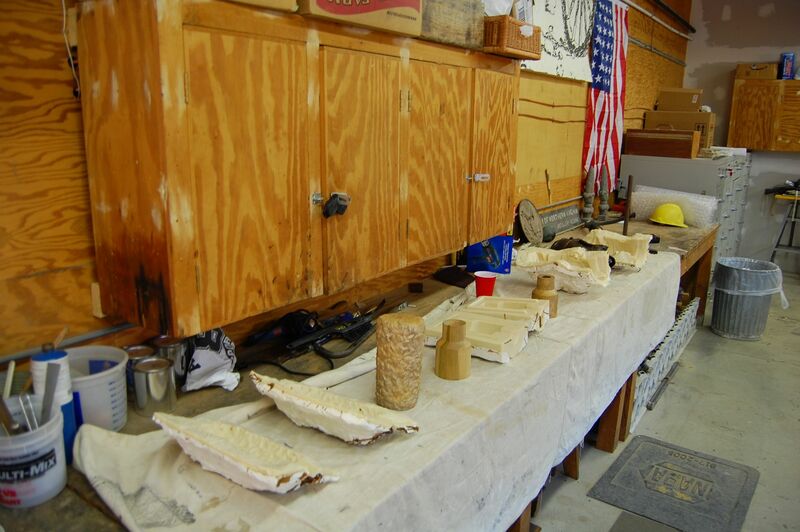 In the next couple pictures we’ll take a look at the detailed moldings made for the sponge rammer … This view was taken facing south at approximately 4:25 PM on Wednesday, October 26, 2011. 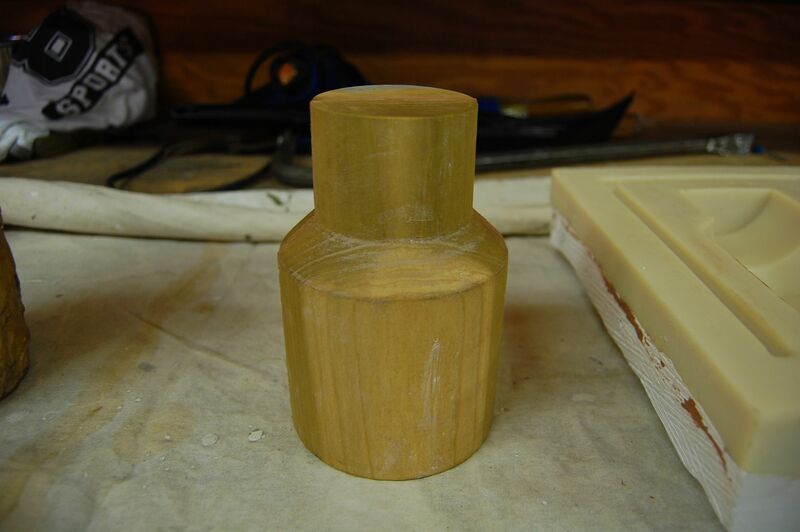 … and the rammer. This view was taken facing south at approximately 4:25 PM on Wednesday, October 26, 2011. 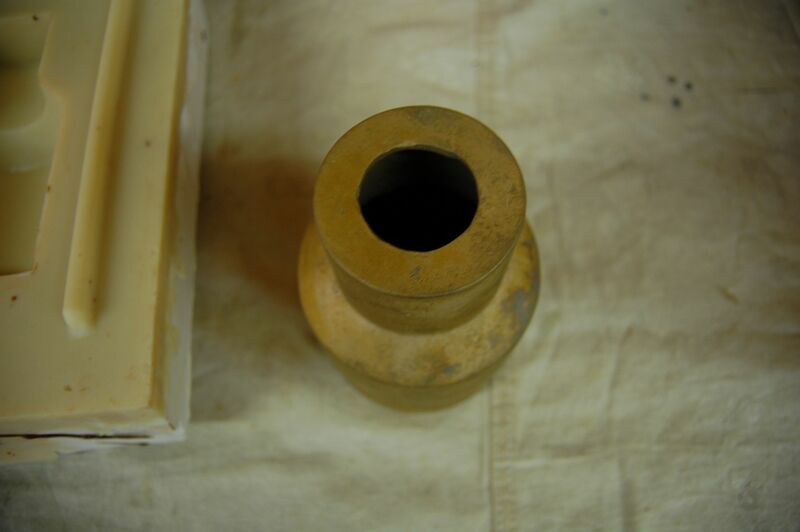 A look at the top of the rammer. This view was facing south at approximately 4:25 PM on Wednesday, October 26, 2011. This view was facing southeast at approximately 4:25 PM on Wednesday, October 26, 2011. This view was facing southwest at approximately 4:25 PM on Wednesday, October 26, 2011. 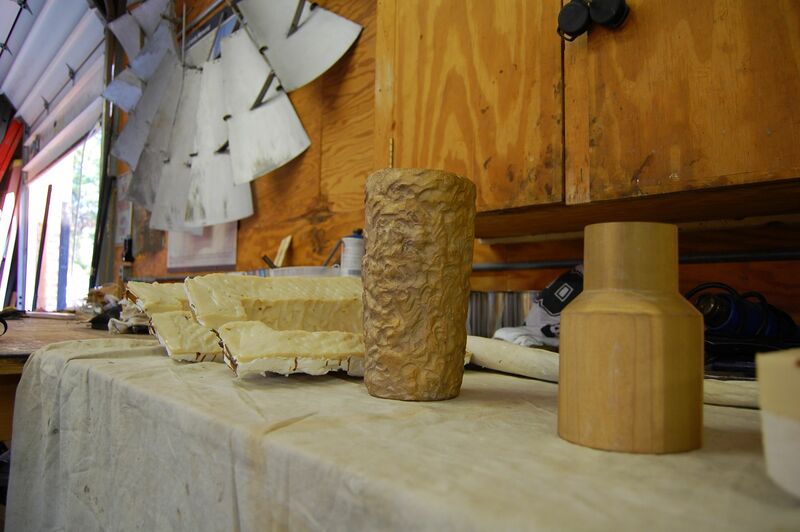 Here’s a detailed view of one of the mold used for the rammer … This view was taken facing south at approximately 4:25 PM on Wednesday, October 26, 2011. … and for the head. This view was taken facing south at approximately 4:25 PM on Wednesday, October 26, 2011. 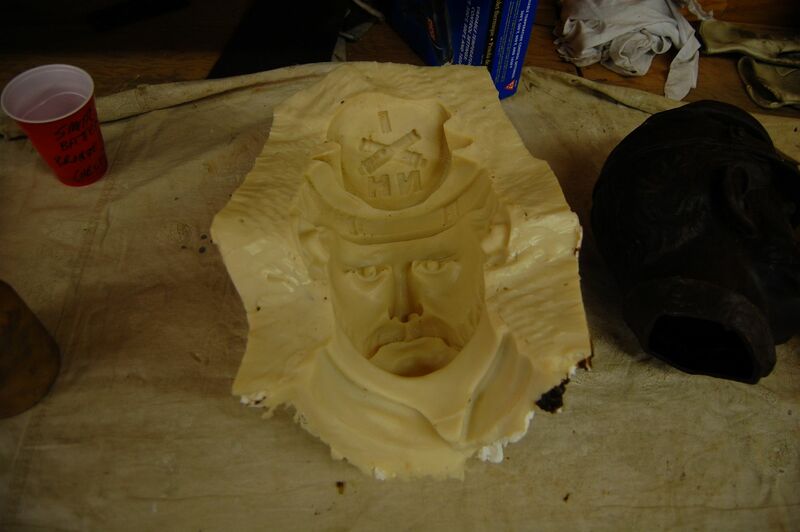 This is the wax head sitting by the other half of the mold. This view was taken facing south at approximately 4:25 PM on Wednesday, October 26, 2011. This view was taken facing southeast at approximately 4:25 PM on Wednesday, October 26, 2011. 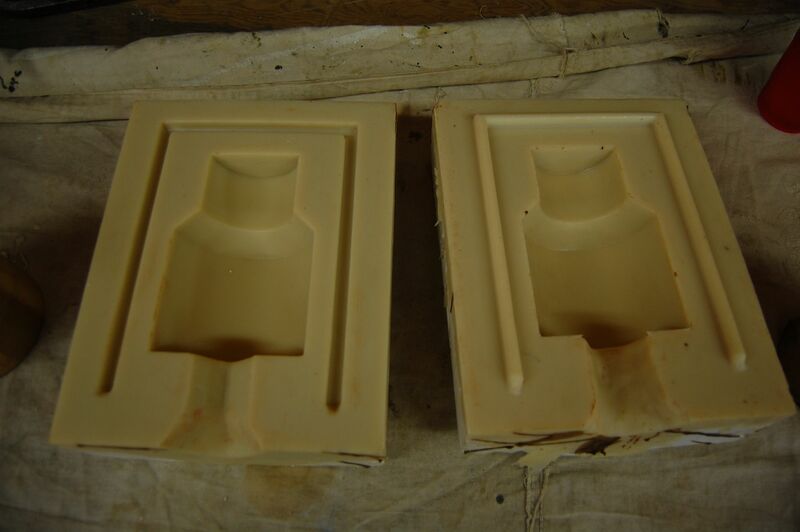 Lucas Flickinger explains the work that was performed after the wax molds were made. Because many of us haven’t been able to see this monument in a while, here a few shots, with head intact. This view was taken facing northwest at approximately 4:25 PM on Wednesday, October 26, 2011. This view was taken facing northwest at approximately 4:25 PM on Wednesday, October 26, 2011. This view was taken facing east at approximately 4:25 PM on Wednesday, October 26, 2011. This view was taken facing northeast at approximately 4:25 PM on Wednesday, October 26, 2011. This view was taken facing north at approximately 4:25 PM on Wednesday, October 26, 2011. 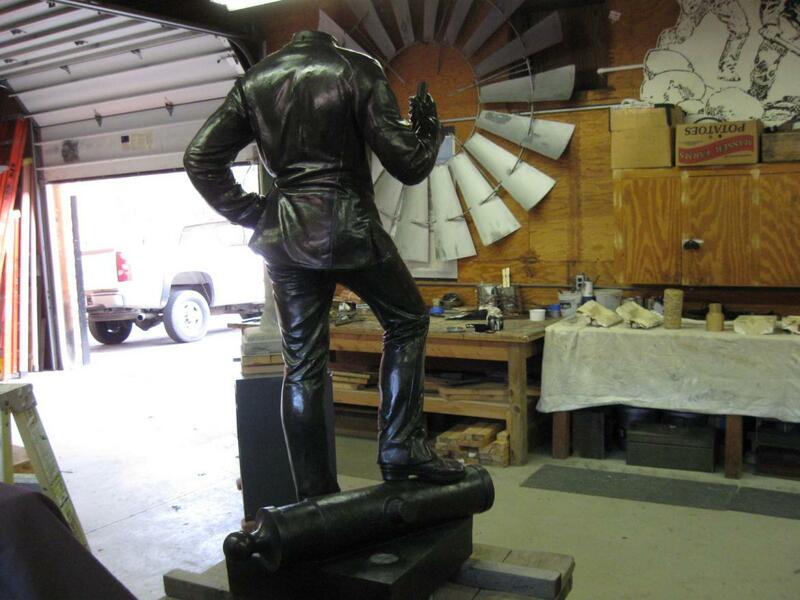 Here’s the statue without the head … This view was taken facing north at approximately 4:25 PM on Wednesday, October 26, 2011. … and here’s Lucas Flickinger, setting it into position. This view was taken facing north at approximately 4:25 PM on Wednesday, October 26, 2011. 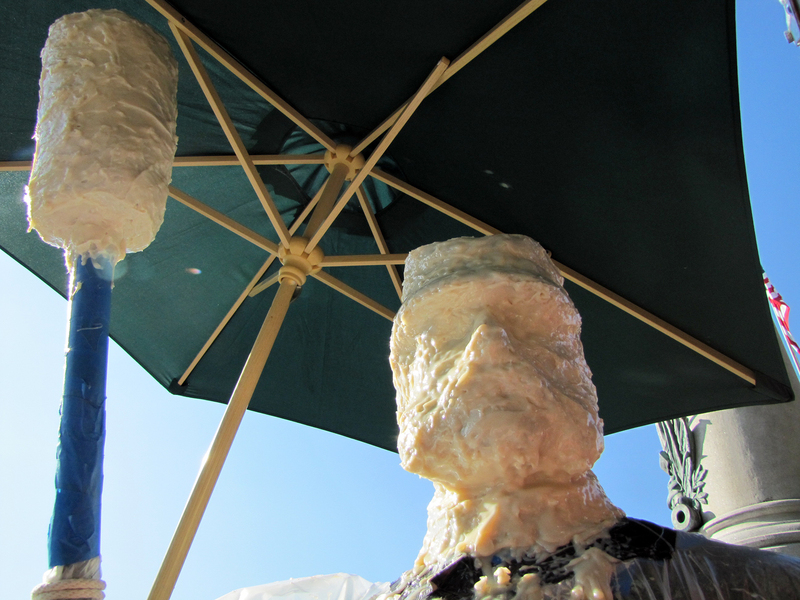 Lucas kindly offered to place the head onto the monument on-camera, while explaining some of the finer details about how the head is fastened to the rest of the monument. 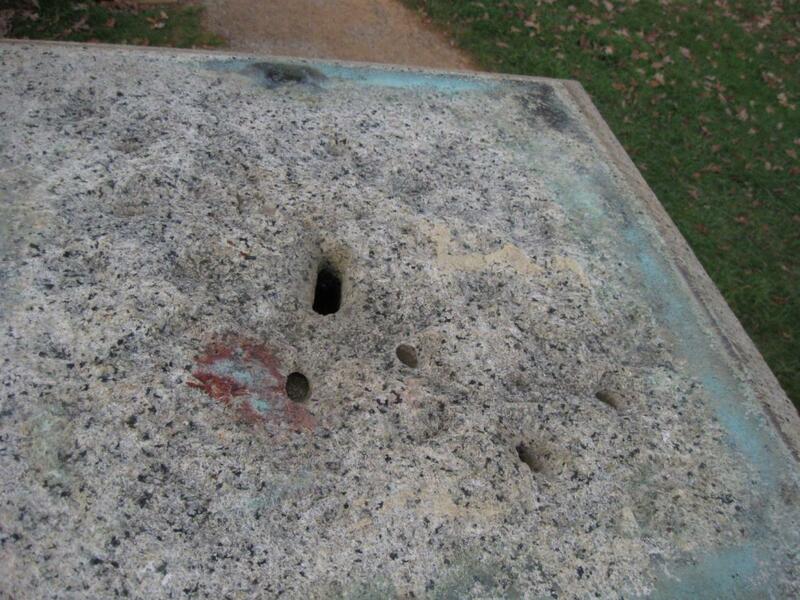 Lucas mentioned that seating the monument in the base will be a challenge, based on how small these holes are. This view was taken facing north at approximately 5:15 PM on Wednesday, October 26, 2011. This view was taken facing northeast at approximately 5:15 PM on Wednesday, October 26, 2011. In this video, Lucas Flickinger explains where the National Park Service looks when researching how to repair and restore these historic monuments, and talks about the challenges involved with completing the work. 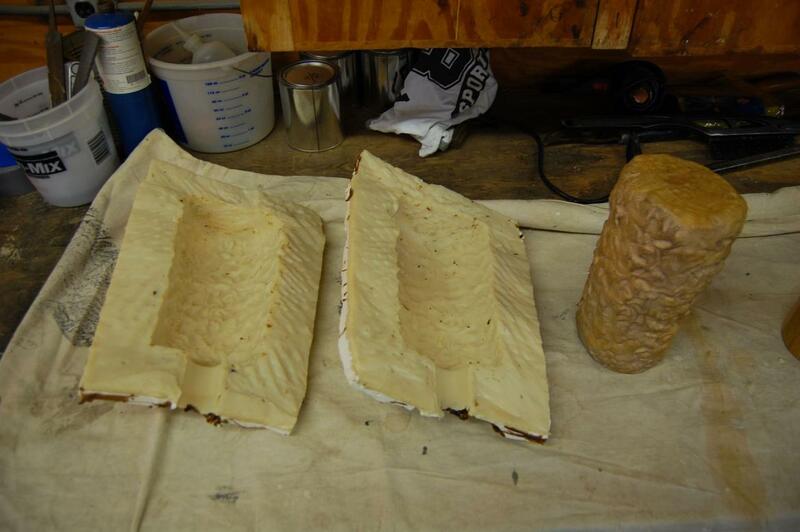 We are thrilled to have taken this behind-the-scenes look at the monument restoration process. In part two of this series we’ll take a closer look at the foundry work that took place in order to create the bronze pieces, and we’ll examine the progress being made on the arm and saber for the 11th Massachusetts monument. This view was taken facing east at approximately 5:15 PM on Wednesday, October 26, 2011. 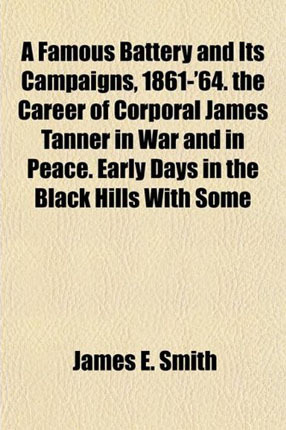 Although the book title is somewhat misleading, this is the History of the 4th New York Independent Battery, written by Captain James Smith.